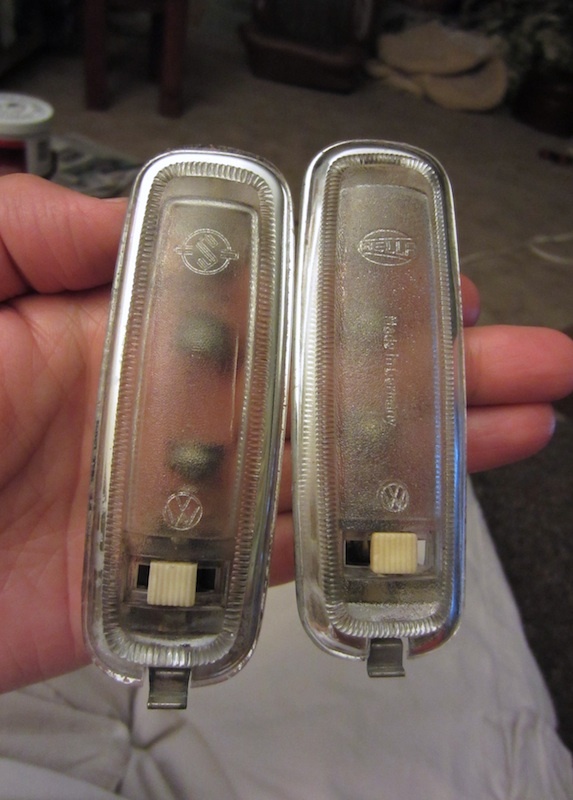 I have these two dome lights in my stash of stuff. The one on the left doesn't have a Hella logo on it. Instead, it has this "S" that looks a little like the old Schilling Spice logo. In the middle, instead of saying Made in Germany, it says Made in Yugoslavia. It looks to be a direct replacement for a Hella light, but I think this came off a bug. Any help identifying the manufacturer and approximately when it was made would be greatly appreciated. No, Skoda always had a hand like logo. 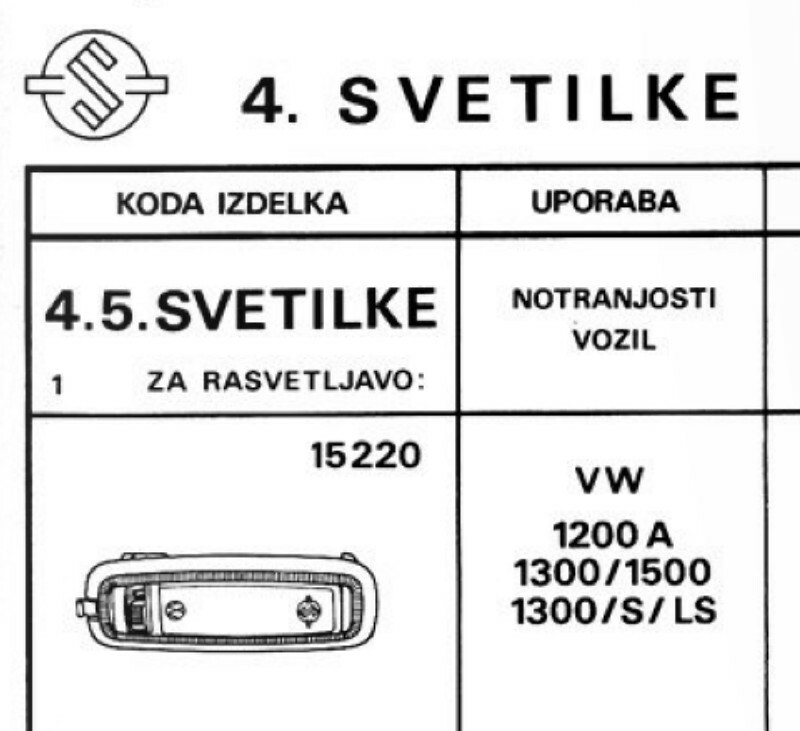 Volkswagen had a factory in Yugoslavia. Well after two years of wondering, I have finally learned the name of the manufacturer of the dome light with the "S" logo. ... which explains why the Saturnus dome light, quality wise, is the equal of the Hella. 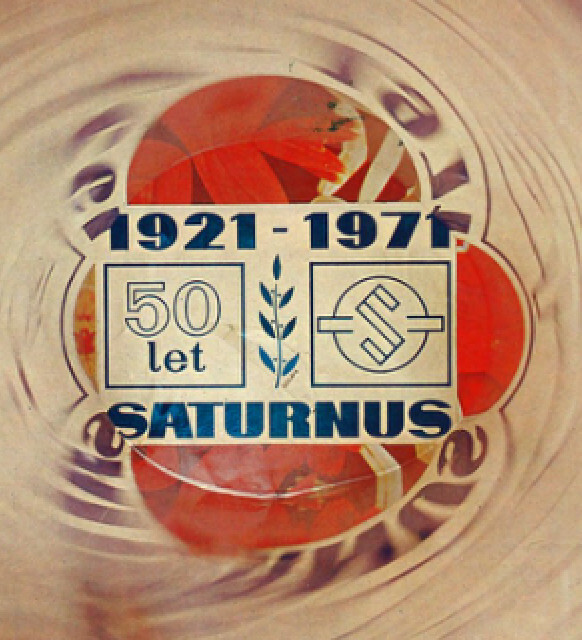 Was the Saturnus dome light ever installed by the factory into a 914? I don't know but I have my doubts. As I understand it, other than Hella the only other brand installed at the factory was possibly Sidler and only the first year. Here's an old parts catalog listing for the dome light in question. To be complete, I'm adding a picture of a Sidler dome light. It's hard to see but the Sidler logo is in the middle of the lens. Obviously this one is all busted up but it's the only picture I have of a Sidler. 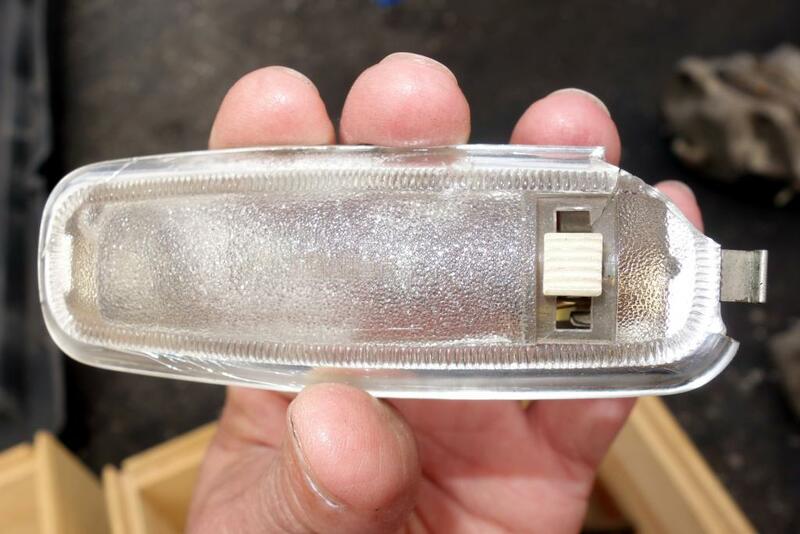 Note that this dome light does not have the VW logo on the lens like the Hella and Saturnus dome lights. Instead, it is stamped into one of the metal pieces on the back of the lens.